Buying liquor in Scandinavian countries can turn into a costly “enjoyment” due to high taxes on alcohol. So make sure to fill up your trunk on German soil before shipping overseas. 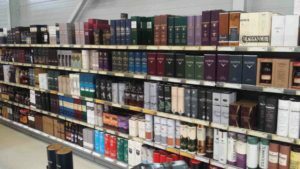 But even if you stay in Rostock and drink occasionally a good drop of wine or whisky– a visit to the “Scandlines BorderShop” can save some bucks in your wallet. The big store, which is not mainly advertised as a liquor store but which fulfils all requirements of one (multiple sorts of hard liquor; head-high cartons of wine …) is located right next to Rostock’s ferry docks. The gateway to paradise is exit ramp “Rostock-Überseehafen” coming from Warnemünde (using the tunnel) or the highway A19. Entering the store reminds someone off a duty free shop but without those decorated shelves. Everything, except the real expensive stuff, is stacked in -and on boxes. Yellow price labels, hanging from the ceiling are declared in Danish Kronar and Euros. So don’t be shocked when you see a bottle of inferior wine with a price above the hundreds. It’s probably the Danish currency (exchange rate 1Euro= 7,5Kronar) written in bold. The broad variety of wine does not make your decision easier but small sample shots from chosen regions can make life easier. Wine can be bought in regular glass bottles or in wineskins (3l/5l). The savings on wine, other than whisky and vodka, are only noteworthy when buying cartons or those already mentioned wineskins. Tullamore Dew, Teachers or Ba llantines (Whisky from a low-range price segment) can be bought in one liter bottles. The prices are usually cheaper than in regular stores but a comparison with advertisements from “Kaufland” etc. can be helpful. 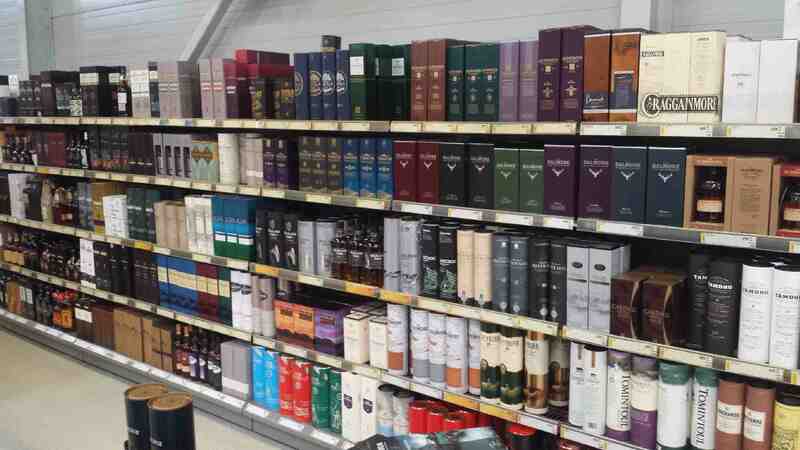 The best deals, that save some money in your pockets, can be made with whisky from the mid-rang price segment (from 40 to 60 Euros) like Lagavulin, Ardbeg or Talisker(smoky scotch whiskies). Savings up to 10 Euros aren’t a great rarity due to the one liter bottles. The store also offers a great variety on beer but those cans can be only bought by people with a ferry ticket who are leaving the country (sad German can deposit!). On the way to the checkout you’ll find chocolate and gummi bears in extravagant big packaging. The payment can be done in cash (Euro/Danish Kronar) or with your credit/debit card (careful: extra foreign exchange fee is due). Before you plan to go there you may check the website which is written in Danish but shouldn’t lead to problems since they got pictures. 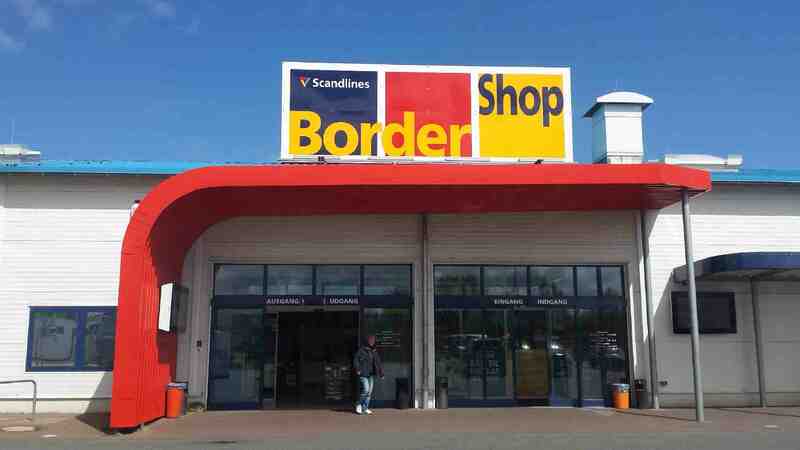 This entry was posted in M-V, Mecklenburg Vorpommern, Rostock & MV, Rostock & Warnemünde and tagged Border Shop, cheap, Liquor, Scandlines, whisky, wine. Bookmark the permalink.